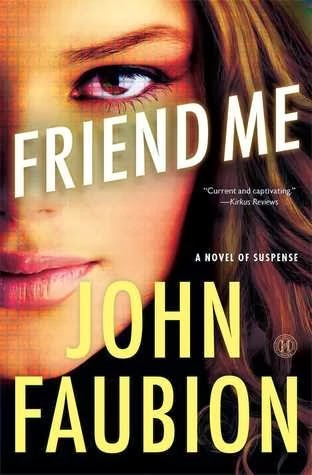 John Faubion hit the ball out of the park with his debut novel Friend Me. It was the perfect mix of suspense, creepiness, and intrigue, with modern day issues. Friend Me kept me hooked! It really was hard to put this book down to go to bed. John Faubion was able to create such a dark and twisted, sociopath with Melissa. It was interesting to dive inside of her head as the story progressed to see where her thoughts would lead her. He also was able to prortray the insecurities that a woman can feel in her lifetime through the thoughts of Rachel in a very realistic way. 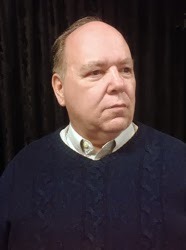 With Scott, he shows in the story how easy it is to fall into the temptation of having an affair, whether it be physical or emotional with the access of technology. Friend Me offered such an interesting look into an issue that is a battle for many people. Friend Me was also a story that can make you think about the information that you put out about yourself and those closes to you, onto the internet. Who is really watching? Who is listening? Who is controlling the programs? Technology has become such a big part of out lives and the technology that is used in Friend Me isn't that far off from happening, with it growing and changing everyday. With the discussion of affairs, the conversations and issues Scott deals with, along with murder, I wouldn't recommend this book to young readers. If you are a fan of suspense, this is the story for you. Friend Me was a wonderful debut! I can't wait to read more by John Faubion.